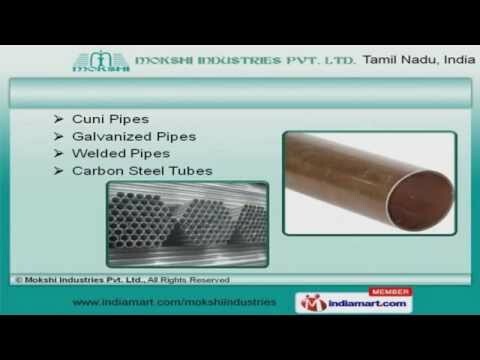 Welcome to Mokshi Industries Private limited, Importer & Exporter Welded Pipes and Tubes. We are an ISO 9001:2008 certified company, established in 2008, at Chennai. We are an Authorized Distributor of Jindal Pipes Limited and I s m t Limited. High grade raw material, Easy payment and shipment modes make us the first choice of our clients. Carbon, Alloy and Stainless Steel Pipes are some of our products. Our Galvanized, Welded and Cuni Pipes are best in the industry amongst others. We offer Boiler, Rifle and Stainless Steel Tubes that are extremely reliable. Mild, Boilers and Alloy Steel Plates offered by us are cost effective. Along with that we offer Metal Fittings, Stainless Steel Sheets and Bars that are widely acclaimed in the market. We also provide E R W, Steel Accessories and Copper Gas Lines that are a class apart.